← Jetlag is No Fun! Do you love a good contest/competition? I certainly do! 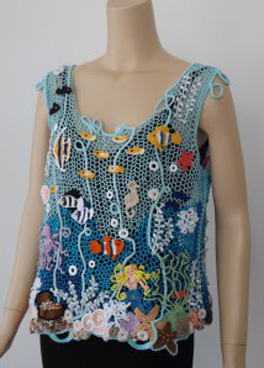 How about a crochet designing contest? Well, it’s that time of the year for creative CGOA members to enter the CGOA Design Competition! The entry form is live on the CGOA website, so what are you waiting for? If you’ve been working on a design or two to enter, don’t put it off! The deadline to enter and ship your entry/entries to me is July 1, which is fast approaching! 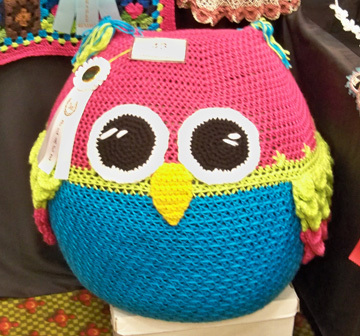 The entries will be judged at the CGOA Conference in San Diego on Wednesday, July 22 and the winners will be announced on Friday night, July 24, during the CGOA “Excellence in Crochet Celebration”. 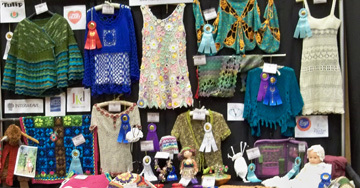 All entries will be on display on the show floor during the Knit & Crochet Show on Friday and Saturday, July 24 and 25, from 10AM-6PM, at the Town & Country Resort and Convention Center in San Diego, CA. Good luck to everyone who’s entering the competition this year! I look forward to seeing your fabulous designs! This entry was posted in CGOA, Design Contest and tagged CGOA. Bookmark the permalink.